In the second post in this series, I outlined why your governance model, or the “How do I do this?” part of your content marketing strategy, is a good place to start planning. Over the next 3 weeks of this series, we’ll go through a full content marketing strategy, and this week we’ll tackle the most important person in the content marketing room: your customer or as you will come to call him or her: Your User. This week I attended a User Experience Design Conference, and I was struck by something that is important to consider as we embark on this month’s instalment of your content marketing strategy. As the speakers at the conference described projects they had been working on and case studies of both successes and failures, I was struck by how there has been a real renaissance in the world of business over the last few years. Now, so many businesses are taking a Design-Thinking approach to business planning and strategy. And the lines between designing a business strategy, a content strategy, and a website are becoming very blurry. 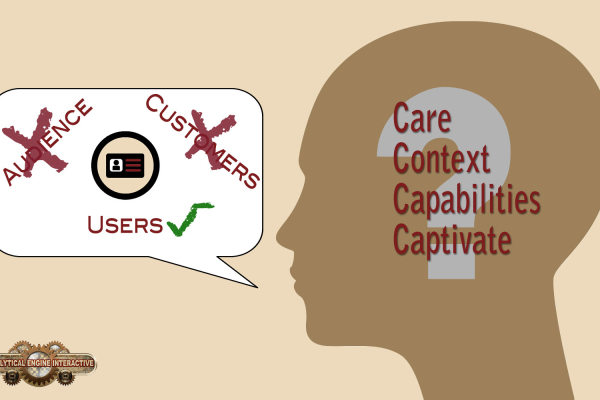 I am going to use the word “User” and not customer as I proceed to describe how we identify who they are, and create messages for them, in our content marketing strategy. 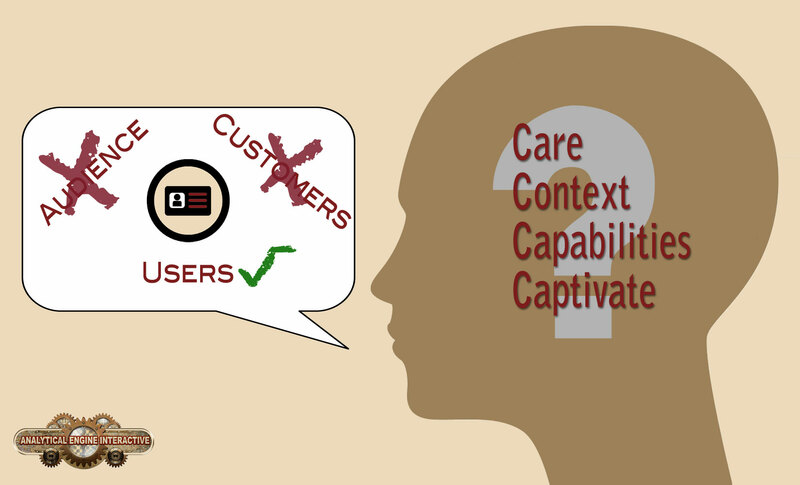 Why do I use the word User and not customer? Users aren’t just browsing, shopping, surfing. Users are seeking value, utility, and help. When we develop a content marketing based on empathy for that User, we need to understand who they are in a three dimensional portrait that we call a persona. Captivate: This is the most elusive, but possible the most important area of focus. What will really surprise and delight them? What are their secret desires that, if tapped into, will bring them unmatchable value and engage them in a real trust relationship with you? Having personas developed is not only critical for the development of your content marketing, you need them if you are going to have anyone else writing product pages or emails, blogging, or engaging in social media communications on behalf of your company. Have them memorise the personas, and post the personas at their desk so they are always aware of who they are speaking to!